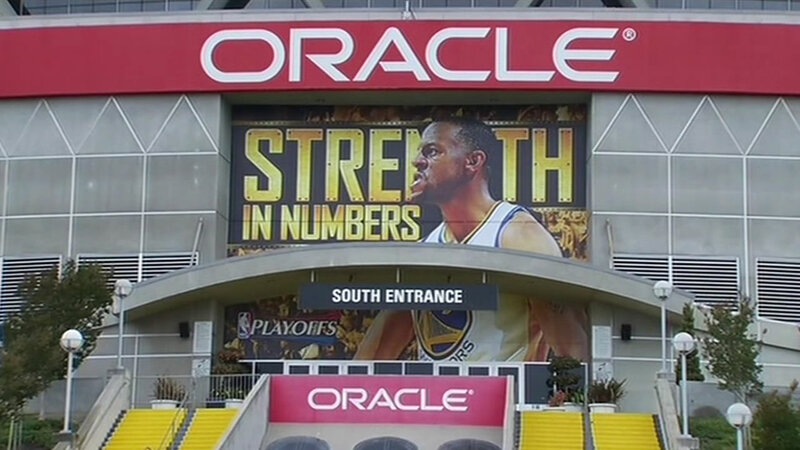 OAKLAND, Calif. (KGO) -- A man is in critical condition after falling over a railing at Oracle Arena. Police said the man in his 20s got into a fight after the game and fell from the second deck to the first deck. He was rushed to the hospital. Our media partners at the East Bay Times reported he's in critical, but stable condition. Police have not announced any arrests.